Since then, these demands have been amplified and reached a new level of urgency. This study adopts a mixed method approach combining an innovative quantitative instrument with qualitative and institutional analysis. The goal is to provide policy makers with a nuanced analysis of barriers to employment and active civic participation encountered by young people aged 15 to 29 years so as to tailor youth interventions more effectively. It identifies a wide range of recommendations available to support youth-inclusive activities and policies, and a roadmap for integrated youth investments. 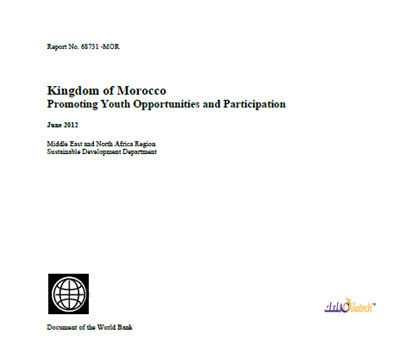 This report was produced by the World Bank and financed by Silatech.